Here you'll find all of the Sleepy-Time Records VST plugins in one easy-to-download bundle. All software on this page is free. There is no trial mode and registration is not required. systems with a VST2 compatible DAW/Host. 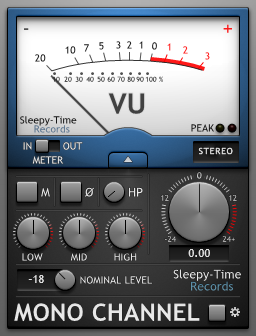 the requirements of classic analog meters. 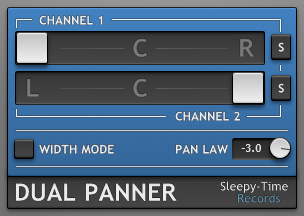 Enhance your percussive instruments with this easy to use envelope shaper. 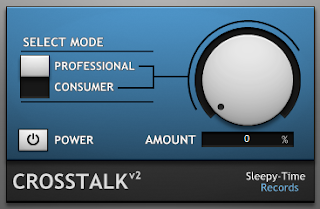 Simulate the stereo bleeding effect of analog buses with Crosstalk v2. 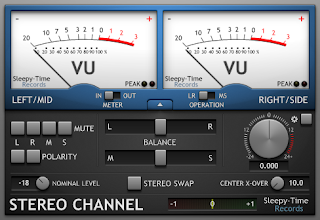 achieving "analog" sound in the digital world. 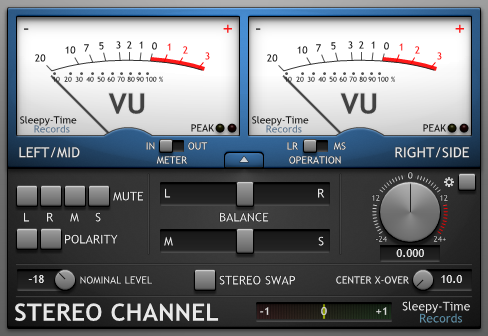 sound's stereo position anywhere in the signal chain. 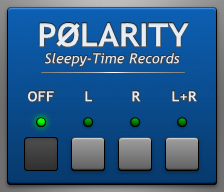 Quickly flip the polarity of your sound anywhere in the signal chain.